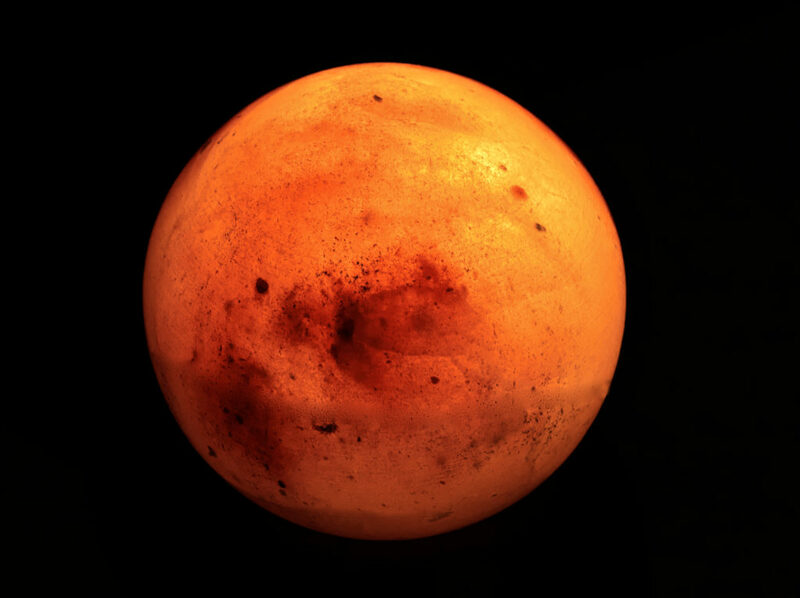 Space has many unexplained mysteries that we are still discovering, and one of them recently happened on Mars. This little planet appeared to have a thick cloud cover, which is unusual and not like its regular appearance. 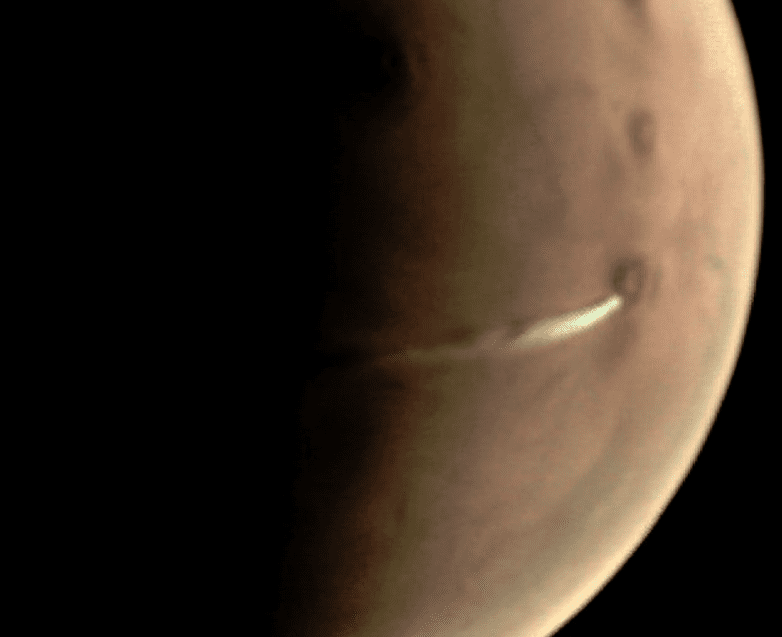 The European Space Agency had images of this, and it seemed that the cloud was above the Arsia Mons volcano. What could this mean? If there is a cloud over a volcano – is it erupting? This couldn’t be the case since this one had been extinct for tens of millions of years! What was the explanation? Scientists realized that the cloud was formed by ice particles and not the dust or debris from the planet. The fog was also just behind the volcano, which is what made it appear to be over it in the pictures. Researchers call this type of formation a lee cloud. There has even been evidence of these types of clouds on Mars before. 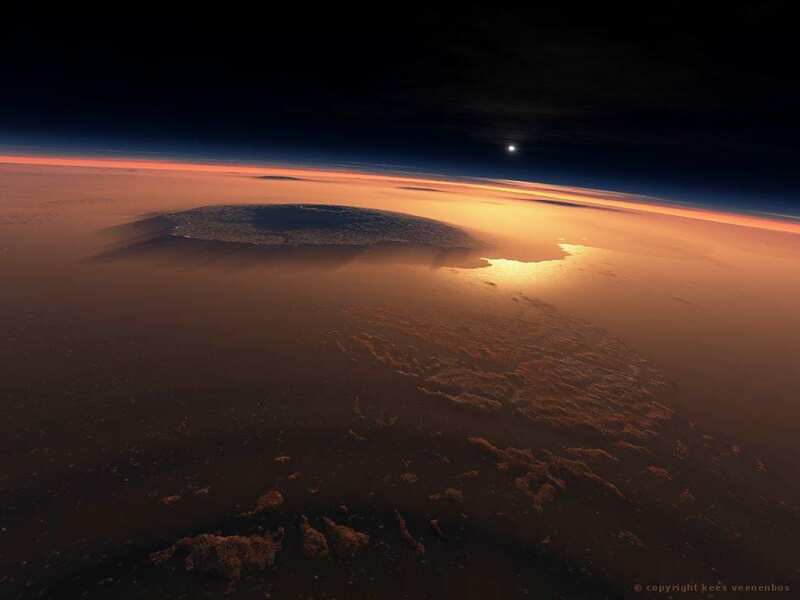 The ESA said, “In the months leading up to the solstice, most cloud activity disappears over big volcanoes like Arsia Mons; its summit is covered with clouds throughout the rest of the Martian year.” They explained that the way the cloud appears will change throughout the day and can grow to such a size that it becomes visible from telescopes on Earth! So that’s why it looks like the volcano is suddenly erupting but its not actually what is happening. The cloud occurs due to the change of seasons and also new dust from the planet. There has recently been a planet-wide dust storm which makes these clouds look even more imposing. It also lets the ice particles remain in the atmosphere and stay up in the sky for longer than they usually would – case closed!